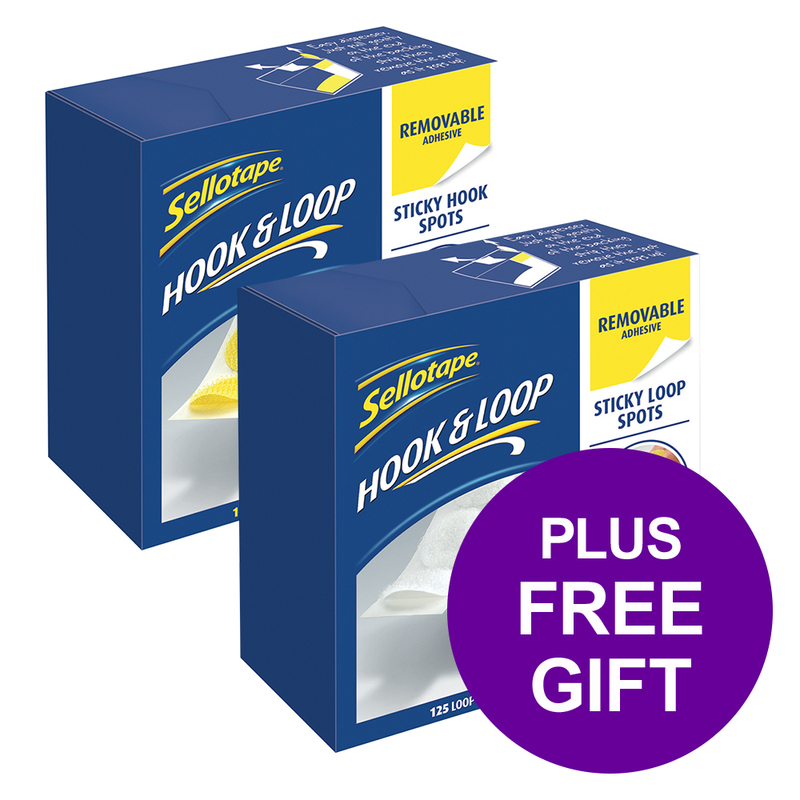 Buy one pack of Sellotape Removable Hook Spots 125 and get one free pack of Sellotape Removable Loop Spots 125. Eliminate the need for nails and screws with the Sellotape hook and loop system. These removable hook spots are great for hanging hooks, signs, pictures and displays, that need be taken down or repositioned. Perfect for any mounting jobs around home, office and schools. 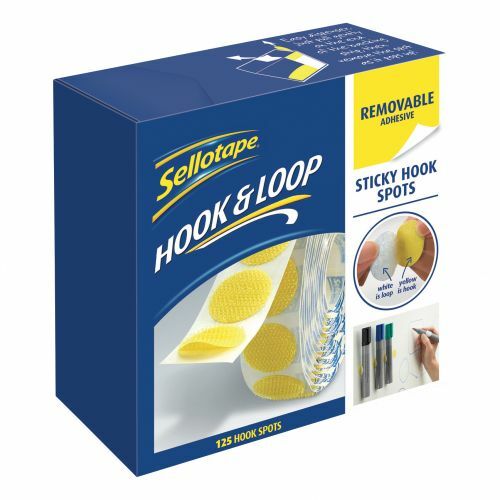 Backing adhesive can be easily removed with no surface damage.